ISLAMABAD: A special court hearing case of high treason against former military ruler Pervez Musharraf expressed resentment over federal government for allowing him to leave Pakistan, Samaa reported. On March 18, Musharraf left Pakistan and arrived in Dubai for what his lawyers said was urgent medical treatment after a three-year travel ban was lifted and his name was removed from Interior Ministry’s Exit Control List (ECL). Reports say Musharraf will stay at his Dubai residence for some weeks before seeking an appointment with doctors in the United States. He is facing multiple charges, including treason and murder over the assassination of former Prime Minister Benazir Bhutto. In January, Musharraf was acquitted over the 2006 killing of Baloch politician Nawab Akbar Bugti. But four cases against him remain. Today, the court resumed its hearing of the treason case wherein Federal Interior Secretary Arif Khan appeared before Justice Mazhar Alam. “Whether or not Musharraf will return… How he left the country without permission? Were those who removed his name from ECL unaware of court orders that he has been summoned for today?” Justice Alam enquired, and expressed his anger. At which, Arif Khan told the court that Musharraf was allowed to leave on humanitarian grounds. He said the government is sincere and wants early conclusion of the case, adding that Musharraf had clearly assured to come back. Prosecutor Akram Sheikh said the court can cancel Musharraf’s bail and issue Red Warrants for him, adding that the accused could also be testified through video link. During the hearing, Musharraf’s counsel Ahmed Raza Kasuri said the complainant (government) has no objection over the former president’s exit from Pakistan. The court issued show-cause notice to Musharraf’s guarantor Maj. Gen. (rtd) Rashid Qureshi before adjourning the case till 19 April. 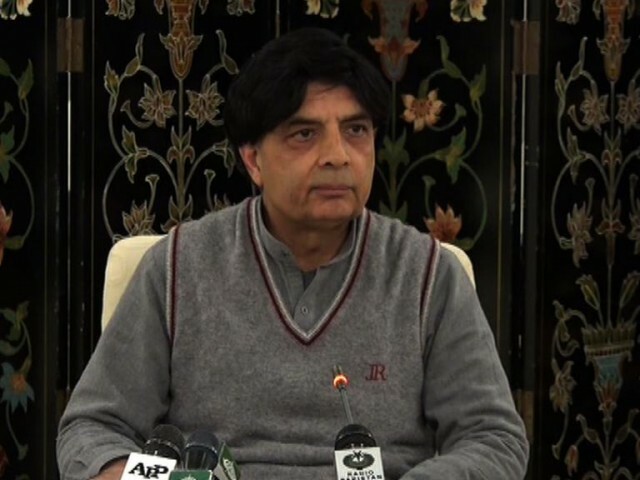 A day before Musharraf's departure, Interior Minister, Chaudhry Nisar Ali Khan, had said that Musharraf's lawyers had provided guarantees he will return in six weeks and will appear in court for several ongoing cases against him.